The three major pyramids at the Giza plateau are perhaps the most famous trio of pyramids on the surface of the planet. But, according to ancient texts, there was a fourth MAJOR pyramid at Giza, made of a stone more black than the common granite and its summit ends in a single great stone which seems to have served as a pedestal. The summit is made of a yellowish stone. According to a Danish naval captain and explorer, there was a fourth BLACK PYRAMID at Giza, which made the already trio of Pyramid look even more impressive. 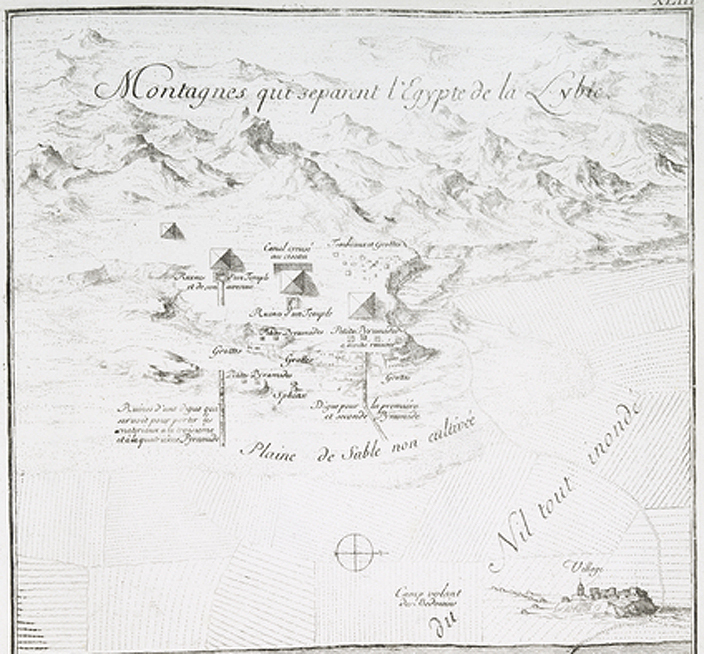 During the 1700’s, Frederic Norden made extensive notes, observations, and drawings of everything around him, including people, pharaonic monuments, architecture, installations, maps, etc., All of which was published in the posthumous Voyage d’Egypte et de Nubie. Frederic Norden was a Danish explorer, and author of the book ” Travels in Egypt and Nubia “. In a text published after his death, the author recounts the discoveries and shares detailed drawings of his expedition to Egypt, undertaken at the request of King Christian VI of Denmark in 1737. Particular data mentioned in the texts has continued to fascinate researchers: the author mentions a glorious BLACK Pyramid located at the Giza Plateau. However, many scholars argue such pyramid never existed and that the Danish explorer might have confused some of the secondary monuments of Giza for a fourth pyramid. Some even argue that Norden may have confused some of the satellite pyramids around the three main monuments for the fourth Pyramid, however, this is contradictory as Norden precisely describes the Pyramid being made of a stone BLACKER and HARDER than granite. The satellite pyramids are all made of sandstone. Nevertheless, the maps made by Norden seem to contradict this hypothesis as they clearly show four major Pyramid at the Giza plateau. 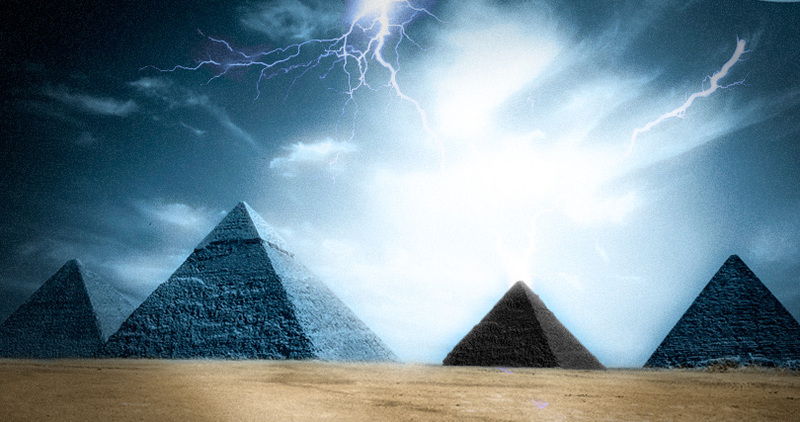 Today experts have still not found traces of a major ‘black Pyramid’ at the Giza plateau, but that doesn’t mean it wasn’t there. There are some authors who suggest that this lost pyramid was in fact destroyed in the late eighteenth century, and the Pyramids stones were utilized in the construction of the city of Cairo. So, where is this majestic Pyramid? Is it perhaps buried along with the numerous secrets of ancient Egypt? WE know for a fact that there are numerous structures that still remain hidden beneath the ground. Perhaps the remains of this majestic pyramid are also located hidden underground, waiting for the day someone lucky enough will stumble across its glorious foundation, revealing to the world that Ancient Egypt is still filled with mystery and that we are on a long journey to discover the real history of Egypt.